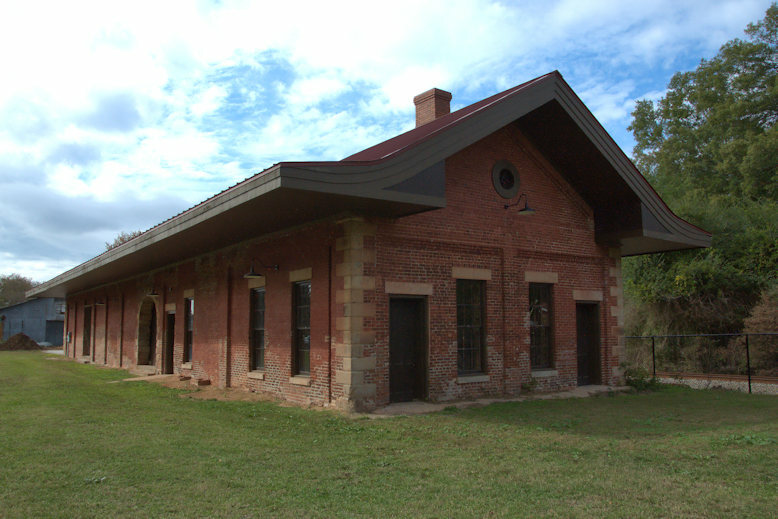 The Georgia Railroad depot at Sparta has been in derelict condition for many years, but the roof has recently been replaced and I believe further renovations are on the drawing board. 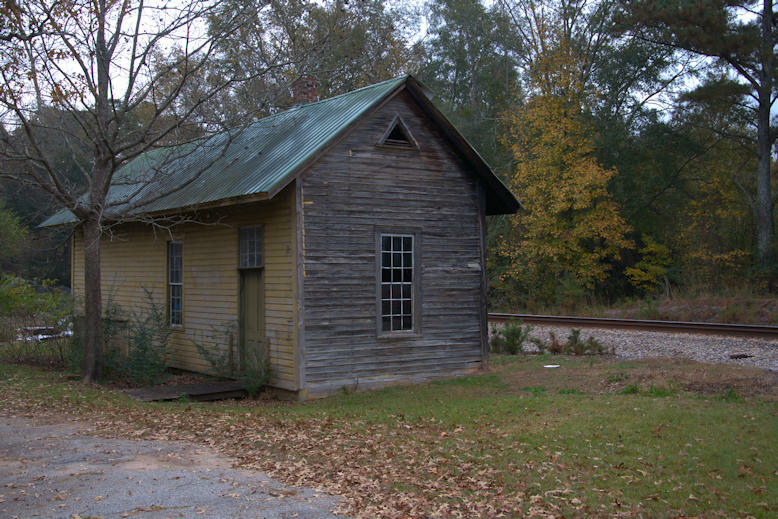 It is very similar to other depots of the Georgia Railroad. 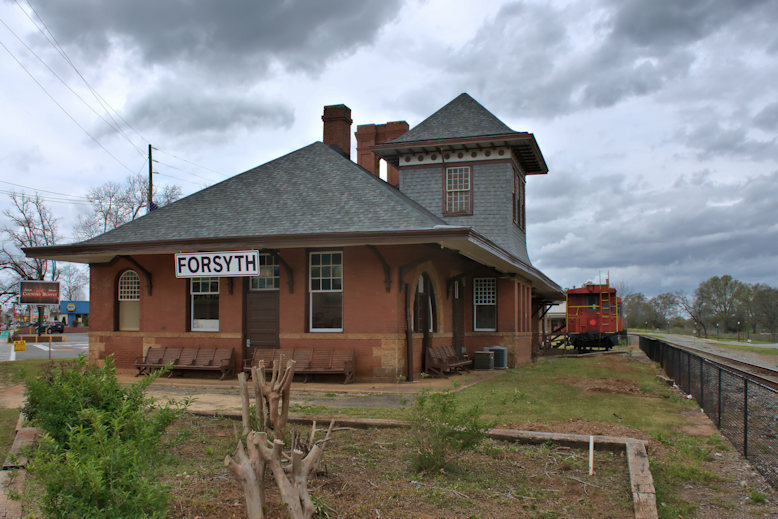 Designed by the prominent firm of Bruce & Morgan, the old passenger depot at Forsyth is now home to a museum. 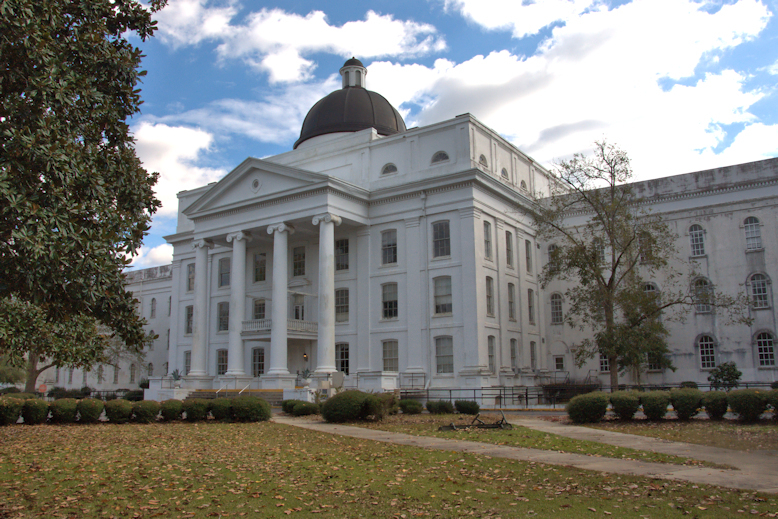 The Georgia Lunatic Asylum opened on the outskirts of Milledgeville in 1842, its name only slightly more benign than the original “Lunatic, Idiot and Epileptic Asylum” conjured at its establishment in 1837. 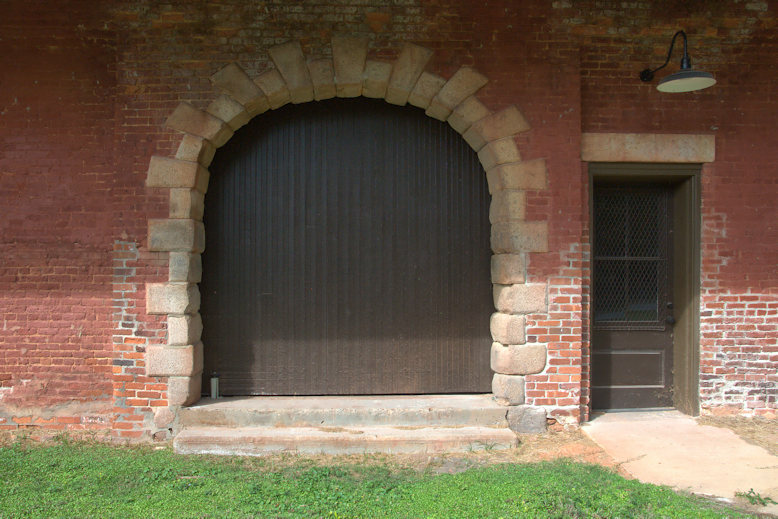 The need for such a facility was precipitated by the social reform movements popular in the early 19th century and at first, especially under the guidance of Dr. Thomas A. Green, patients were treated as humanely as possible. Green was responsible for attempting to humanize the plight of the asylum’s population, removing chains and restraints and even taking meals with them. Within its next century, though, the institution occupied over 200 buildings on nearly 2000 acres. At its peak, there were nearly 13,000 souls residing here, making it the largest state mental institution in the nation. 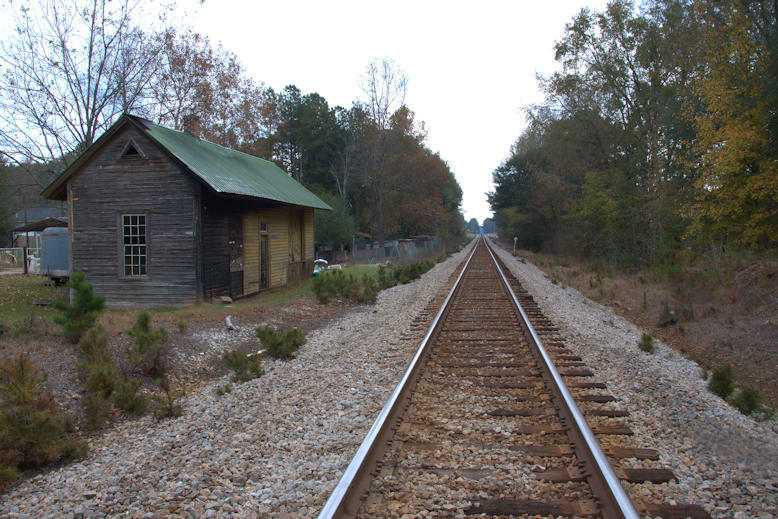 Unfortunately, after the Civil War, the institution experienced rapid growth, as many communities warehoused “undesirable” people from their communities to what was essentially a prison sentence at Milledgeville. This included thousands of veterans whose maladies deemed them impossible to treat in their resource-strained communities. This growth lead to a 100:1 physician to patient ratio that persisted for nearly a hundred years. 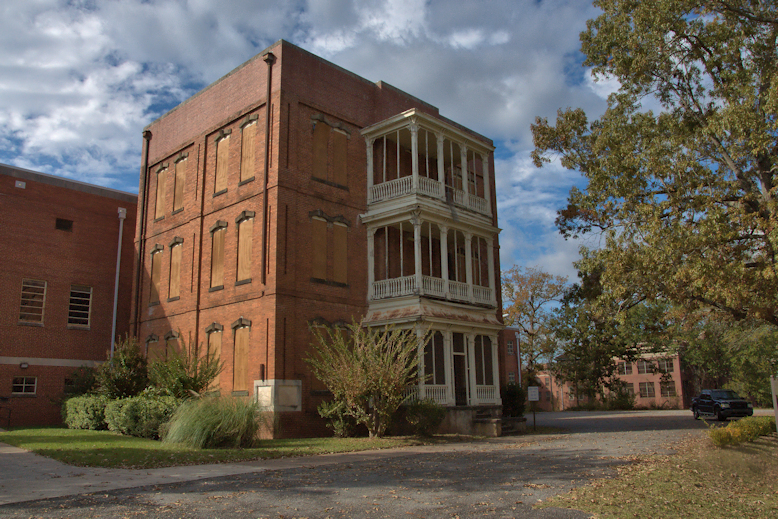 In 1897, the facility came to be known as the Georgia State Sanitarium. But to most Georgians, it was simply known as “Milledgeville”. It was universally known in the state as a place to avoid. Walking the immense grounds today, one has to feel sorrow for the souls who were put away here, and a sense of anger at the horrible way we treated the mentally ill until the recent past. By the 1960s, pharmaceutical advances helped reduce the number of patients who were subjected to such horrific treatments as electroshock therapy and lobotomies. For much of the 20th century, the institution was essentially an experimental laboratory of psychology, doing greater damage to its residents than good. The name of the property was changed to Central State Hospital in 1967 and by the 1970s, the population was in rapid decrease. Today, fewer than 200 residents are in treatment here and a goal of phasing out the facility altogether is closer to reality. Most of the buildings are in ruin and while anyone is welcome to walk around the grounds, it’s illegal to enter any of the structures. A round-the-clock security team strictly enforces this mandate. Madras was originally known as Powellville and later, Powell’s Station. By 1904, the name was changed to Madras. 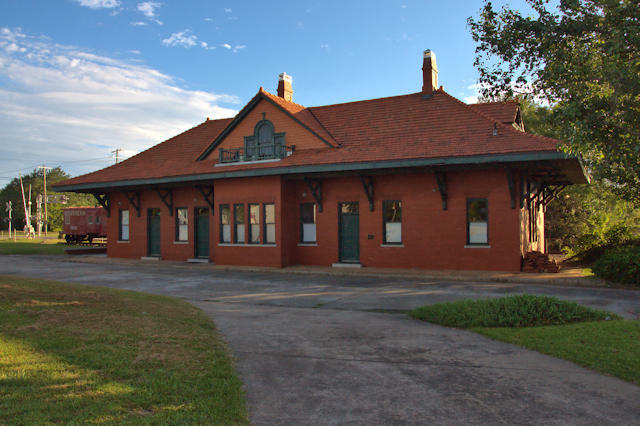 I believe the depot was built around the time of the name change but have been unable to locate any history. Thanks to Carol Chancey of the Moreland Cultural Arts Association for pointing me in the direction of Madras. 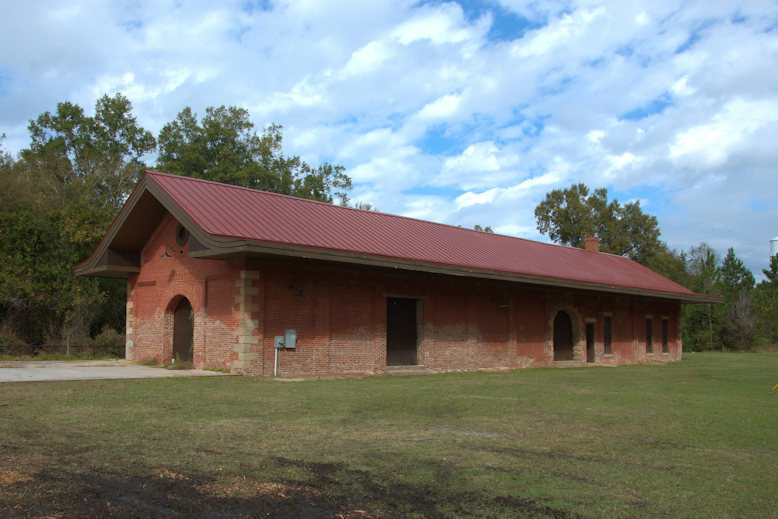 This depot served Palmetto until the mid-1960s when it was transferred to the city for municipal use. 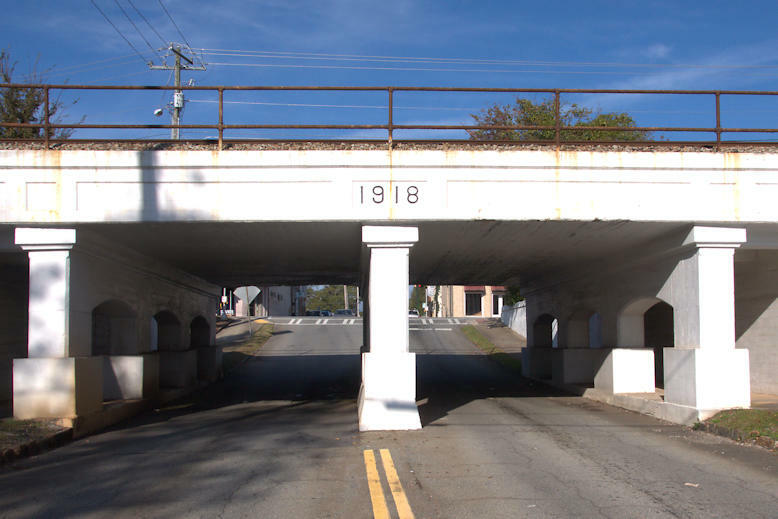 It went through a long state of decline before a full restoration was completed in 2012. 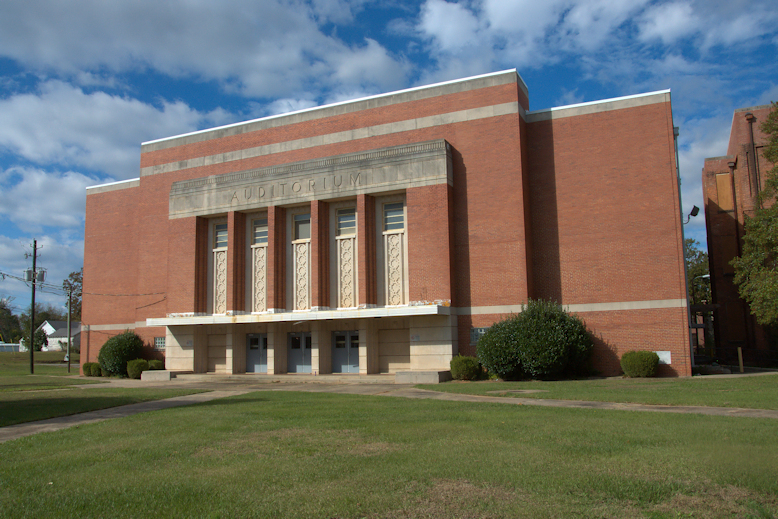 It now houses a museum and event spaces. 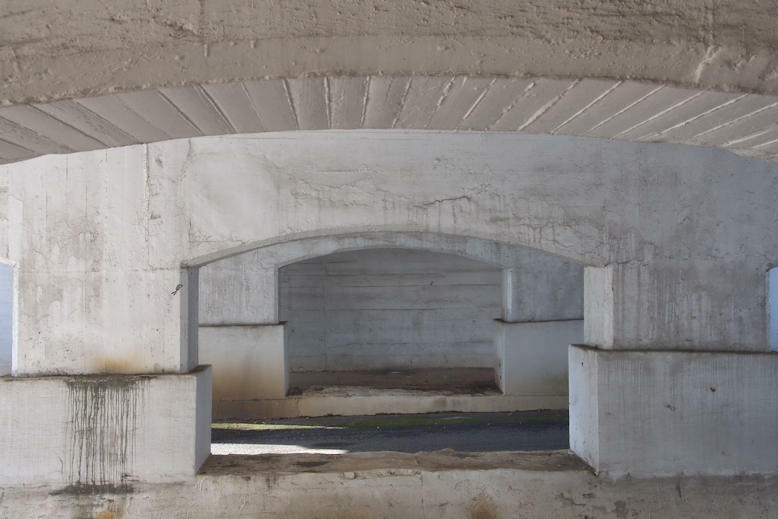 There are a couple more of these masonry underpasses in Palmetto and at least one in Fairburn. 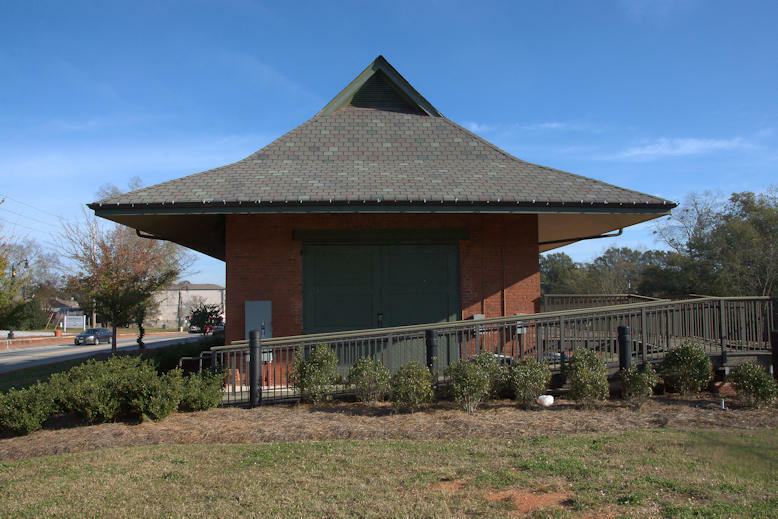 The Palmetto examples are contemporary to the Atlanta & West Point Railroad depot and may have been built by the railroad. They’re really amazing examples of engineering, considering they’ve been in use for 99 years and have carried millions of tons of freight over the past century. 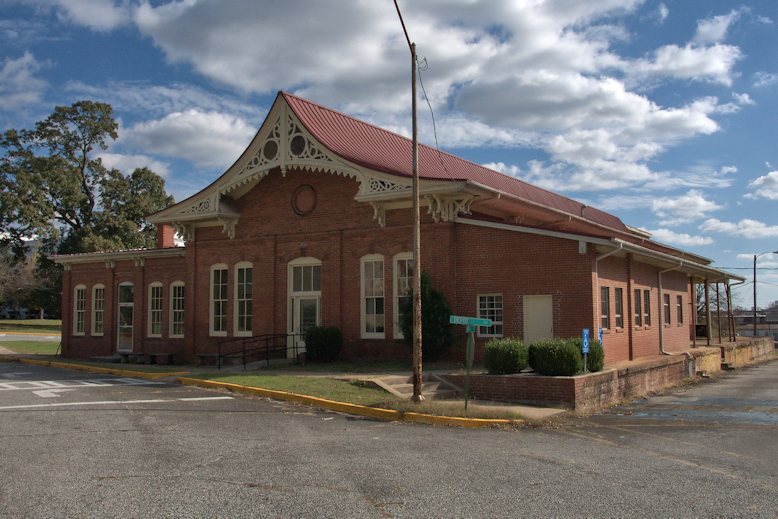 One of Georgia’s finest old depots, this is now home to the Elbert County Historical Society.